Sweetly smoky caramelized onions with a bit of heat. Caramelized onions - I don't make them often since it takes quite a while to make only a relatively small amount of final product. Not the most efficient process, but it sure does make some tasty eats! I've made plain caramelized onions many times, but this time, I wanted something a bit different, so I decided to add some spice - a few chili peppers. Like the Maillard reaction, caramelization is a form of non-enzymatic browning. However, instead of an amino acid reaction (like the Maillard reaction), caramelization occurs by pyrolysis (geek speak for BURNING! ok - so I might be a little pyro. sometimes, maybe). In addition, you can accelerate caramelization by adding a bit of acid. In this case, I used some balsamic vinegar to help speed up the process while adding an extra bitto flavor. 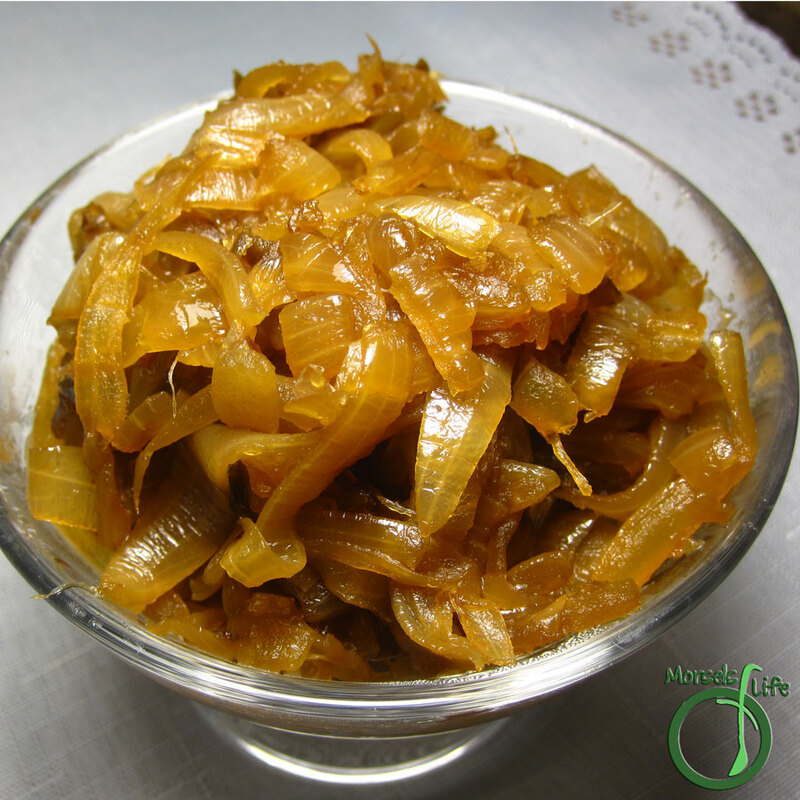 What's your favorite version of caramelized onions? chili peppers, chopped I used 2 or 3 dried serrano peppers, but you can easily adjust type and amount to suit your preferences. Heat the oil, and cook the peppers briefly. Add in remaining materials, cooking until caramelized. Stir occasionally. This looks so tasty. Perfect on a big steak! We have a fantastic Kahlua Cinnamon Cocoa. Come on over and try it out. While you are there be sure to check out the Southern Fried Women post and enter to win a great Christmas present from the author! It is! We like it on burgers too. Yum. My husband would love these on a steak or chicken philly sandwich! Thanks for linking to Must Try Monday.